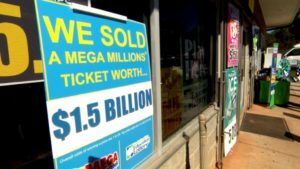 The South Carolina woman who has scooped the $1.53 billion Mega Millions jackpot on October 27th, 2018 is the biggest lottery winner in the world. On March 4th, she took home the lump sum payout for her prize, worth $878 million, and now, she is making her first philanthropy projects. She has made a sizeable donation to the Alabama Red Cross to help out the victims of the tornado that struck the state earlier this year. But this is only the beginning of her involvement in charity work. It took a few months for the South Carolina winner to come forward and collect her lottery prize. She took her time with the process because she wanted to find proper legal and financial representation. 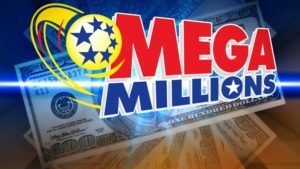 Right around the time that she finally claimed her Mega Millions jackpot in South Carolina, a tornado struck in Alabama. “It just felt like we were having this great event when there were people suffering nearby,” said the winner through her lawyer, Jason Kurland. Right after she cashed in her millions, she decided to take action and lend a helping hand to those affected by the tornado. She chose to donate to the Alabama Red Cross, an organisation that is heavily invested in the tornado relief. However, she chose not to disclose the amounts that she has given. “We spoke with the charities and agreed it would be best not to announce. We want to announce the charities to spread awareness,” said Mr. Kurland. She hopes that others will be inspired by her gesture and make donations of their own. 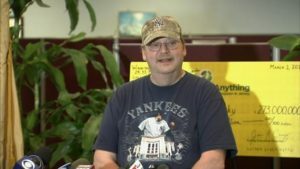 A month into the lottery life, the South Carolina winner has already found the time to make donations to several other charities. Among them is the In The Middle, which is an organization aimed to help women with breast cancer, the Ronald McDonald House of Charities in Columbia, South Carolina, and the One SC Fund for Hurricane Florence relief. She has also donated to the Art Center in Simpsonville. In a public statement, the woman said that “Words can’t describe the feeling of such incredible luck”. Her Mega Millions jackpot offers her “a unique opportunity to assist, support and contribute to charities and causes that are close to my heart.” She also said that she realizes that such an enormous prize brings about a “tremendous social responsibility”, but she is more than willing to see it through. 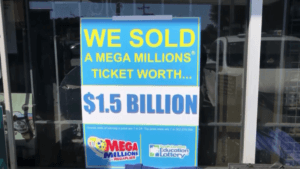 A New Jersey man was distracted by his phone and forgot two Mega Millions tickets at the gas station where he bought them. Luckily for him, a good Samaritan found them and turned the tickets into the cashier, although he or she could have kept them. One of those tickets was, in fact, the $273 Million jackpot-winning ticket!